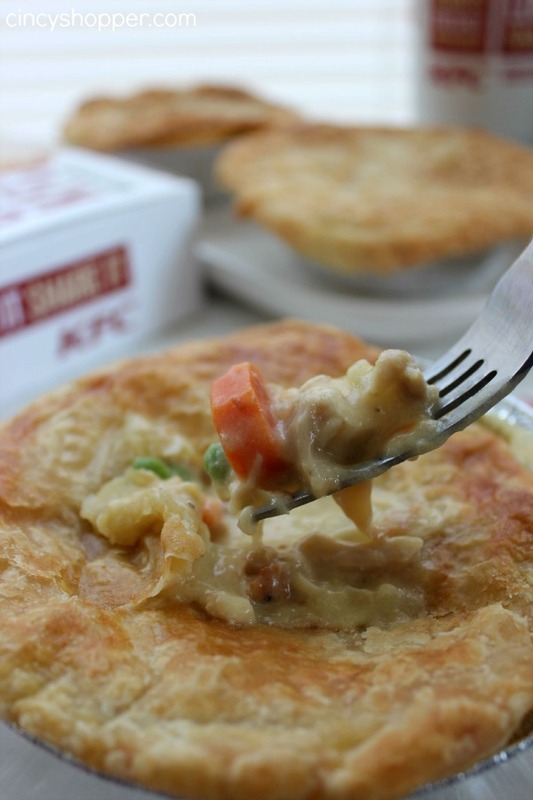 If you are a fan of pot pies you are going to love this CopyCat KFC Pot Pie Recipe. My kiddos and hubby LOVE KFC Pot Pies. 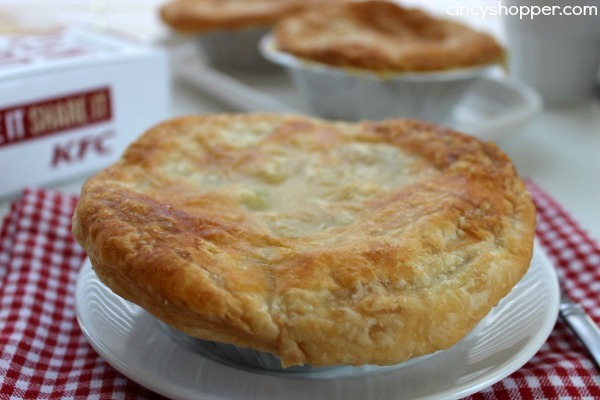 I love KFC too but purchasing KFC Pot Pies for the whole family can be very expensive. Yesterday afternoon we were deciding what we would have for dinner and everyone was wanting to head to KFC for Pot Pies. 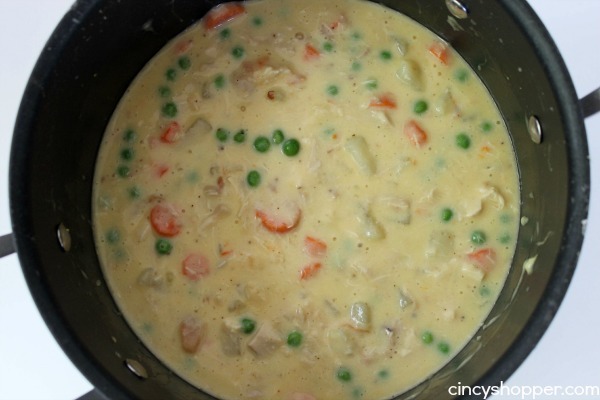 I decided it was time to make our own CopyCat KFC Pot Pie Recipe and enjoy the savings that copycat recipes offer us. 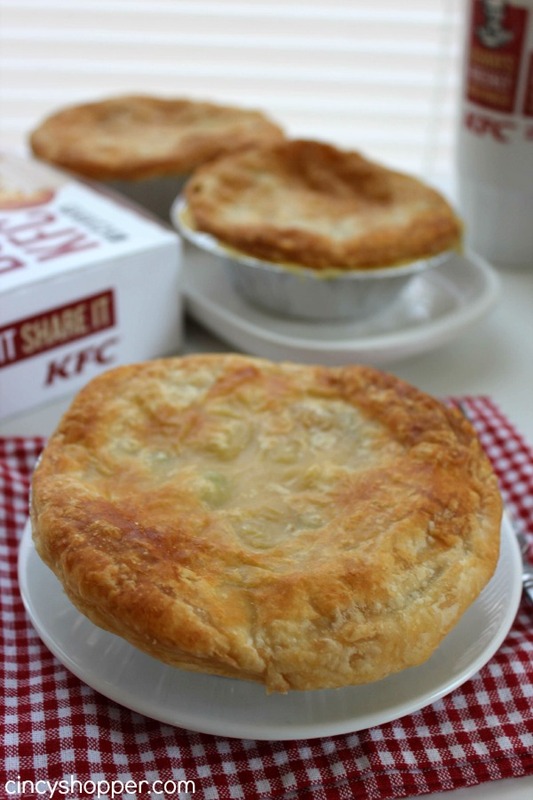 This CopyCat KFC Pot Pies Recipe is “over the top good”. I think ours turned out tasting better with just less salt taste. Plus the cost was way cheaper. The kids and hubby wanted seconds and all loved them just as much if not better than KFC pot pies. Peel and cut potatoes into 1/2″ cubes. 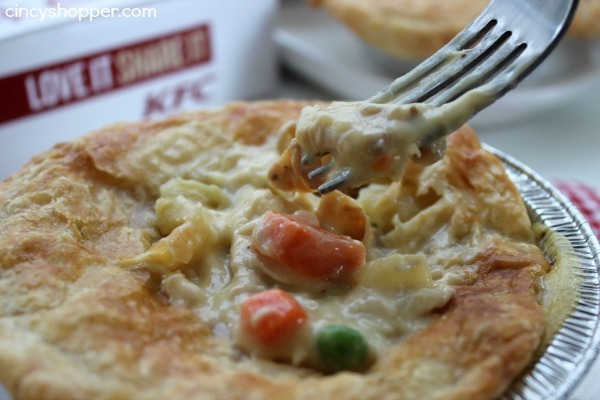 Overall this KFC Copycat Pot Pie Recipe is a keeper for sure! The crust was delish and the filling was yummy! Peel and cut potatoes into 1/2" cubes. 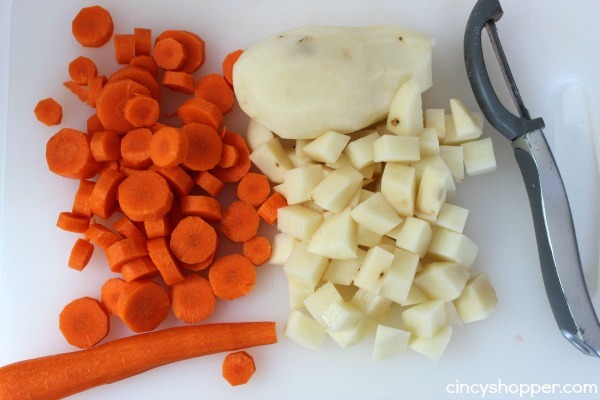 Peel and slice carrots into 1/4" slices. Cut pastry into 6" circles and then roll slightly to make sure crust will overlap rim. I just love pot pies. 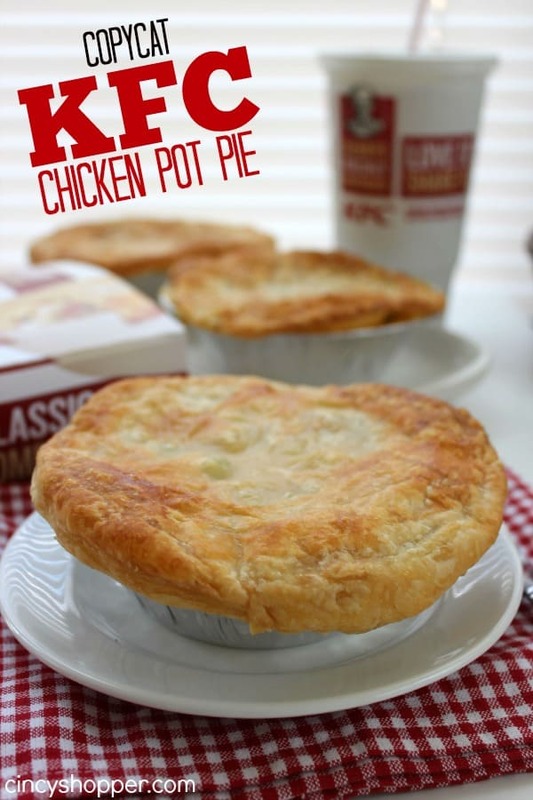 I have tried KFC pot pies. If I prepared one at home however, I probably would omit the sugar! Gloria I agree. I cannot see the point of the sugar. I have never eaten KFC chicken pot pie. this does sound good. I have people in my family that does not like peas. I replace peas with celery. love the puff pastry on top of pot pies. I made many of these when I worked there. You have it pretty well spot on. Except we never pre-cooked anything. It was mixed cold, put in tins, topped and baked. It was a long time ago but I want to say it was frozen veggies. Could be wrong. What happened to the double crust. Our KFC has a double crust not just the top. Know if these can be frozen and then cooked? I’m asking because I would like to prepare a few of these for my grandmother and make it as easy as possible for her to cook at home. Yes..very easy to freeze. 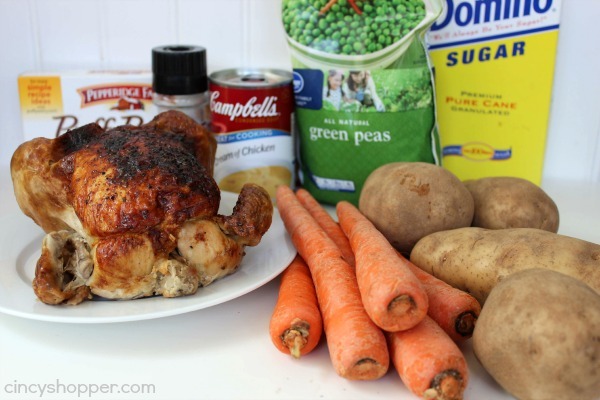 Even though peas and pastry were frozen before baking, is still ok to freeze final cooked product. I sometimes add bacon and cracked pepper into the mix as well. Bloody delicious!! (chop bacon and one onion and fry up before adding other ingredients) YUM! Please clarify – do you bake these before freezing? or Do you freeze them after you just put them together? Also what is the baking time if they are frozen or do you need to thaw them before baking? These sound GREAT. Can I freeze them? I’m a senior and it would be nice to take one out of freezer and pop it into oven. Thank you! and many other dishes that seem a little bland do. I recently made this and OMG it was delicious! I made it in a pie dish rather than the smaller pie dish and cut the recipe in half. My daughter took some to work for her co-workers to try and they said it was better than KFC’s. Thanks for sharing this!! Delicious! My family really enjoyed this. Made 6 in little pie tins and put in freezer. My only problem was way to much liquid in pot pie! Did anyone else have this problem? Will definitely make again. Add a little flour if it is to watery. Oh my gosh I have been waiting for this recipe. Every Sunday after church we go to KFC for lunch and get the pot pies. But now I can make them at home. Thank you so much for the recipe.. I am planning to make these tonight. Guess I am thick but not understanding…I line the tins with the pastry and also put pastry on top?? No, just use it on the top. No bottom crust. Just tried this recipe and it was terrific. I added the sugar and you could taste something but not in a negative way. 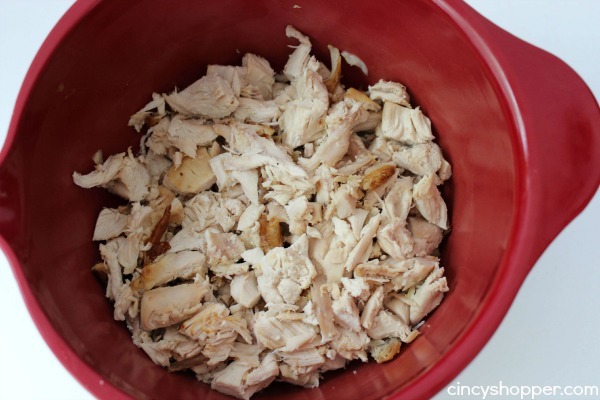 Way easier than using chicken stock and thickening with flour. My family loved it and want me to make this every week.